For Standard/Enhanced/True USB Willem Universal programmer. 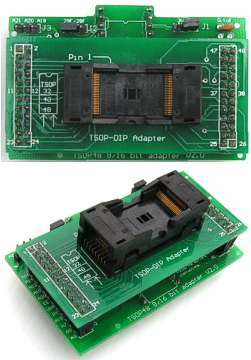 This adapter consist of ADP-077 and ADP-072. - All brand 29F200, 29F400, 29F800, 29F160(read/write byte mode). - All brand 29LV200, 29LV400, 29LV800, 29LV160, 29LV320 compatible flash chip.